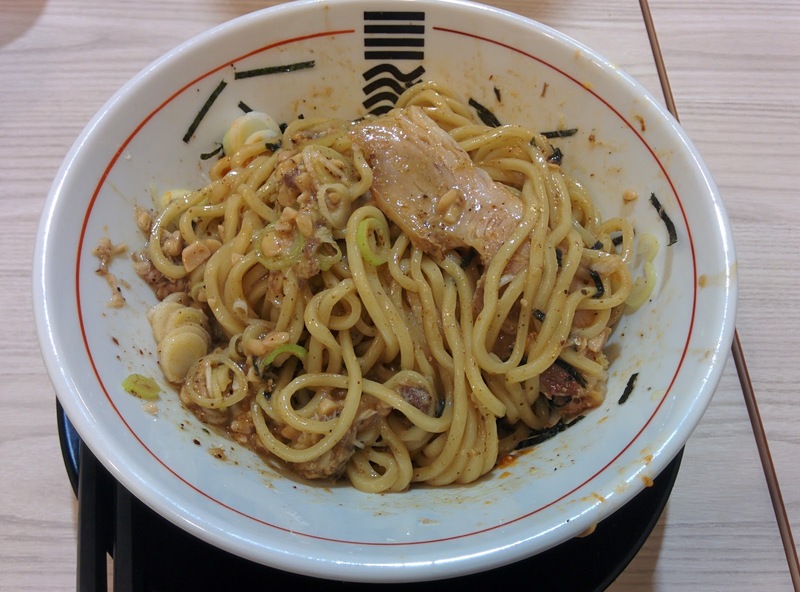 Yamagata is not a place you hear about a lot when it comes to ramen, but Joto Rekka is a shop that has brought Yamagata noodles to Osaska. 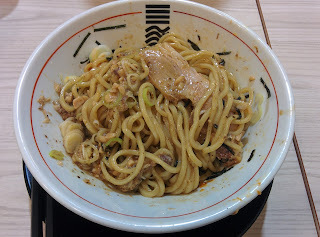 On my visit to the Gamo Yonchome shop, I ordered not normal ramen, but a take on Yamagata's famous hippari udon: hippari mazesoba. This is no ordinary bowl of maze soba. 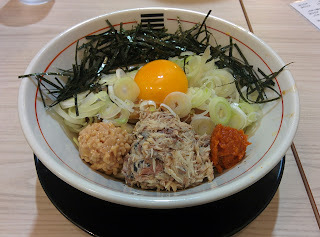 The toppings include mackerel, natto, and spicy miso. The mackerel ended up being the primary flavor in the bowl, which worked out because it's my favorite fish. The other toppings worked together to add seasoning to the bowl: the natto made the dish a bit goopier, and the miso and seaweed added a bit of spice and salt, respectively.